In recent years a number of popular books have savaged religion arguing it is a dangerous delusion that poisons human societies and relationships. This is but the most recent manifestation of a secularising agenda that has been sweeping contemporary democratic societies since the Enlightenment. This book pushes back against that agenda, examining its key assumptions and arguing that the exclusion of religious people and ideas from education and the public square is both undemocratic and unwise. For the most part the book draws arguments and examples from Christianity, the religious tradition of the authors, but it recognises that many religions share the concerns and possibilities examined. The book examines contemporary expressions of the secularising agenda in Western democracies with particular focus on how that is played out in education. It demonstrates how republican theory understood within a faith perspective provides a shared understanding and substantive basis for education within a Western democracy. 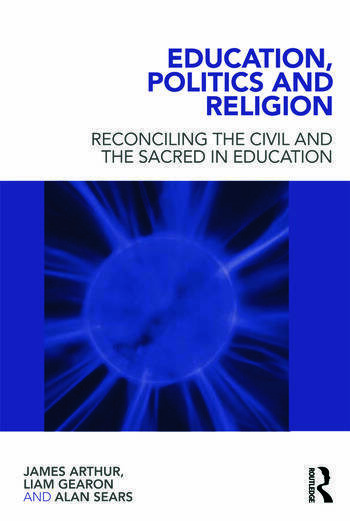 It explores the historical connections and disconnections between religion and civic life in the West from ancient to contemporary times and examines religiously based civic action and pedagogical approaches contending both have the potential to contribute greatly to democracy. It will be of value to any who are interested in exploring how democracies can include the voices of all their citizens: the religious and the secular. James Arthur is Professor of Education and Civic Engagement at the University of Birmingham, UK. Liam Gearon is a Professor of Education at the University of Plymouth, UK. Alan Sears is Professor of Education at the University of New Brunswick, Canada.